Includes on-site installation. Desktop Software extra applicable. Also Available in Video Analytics , with separate custom price. 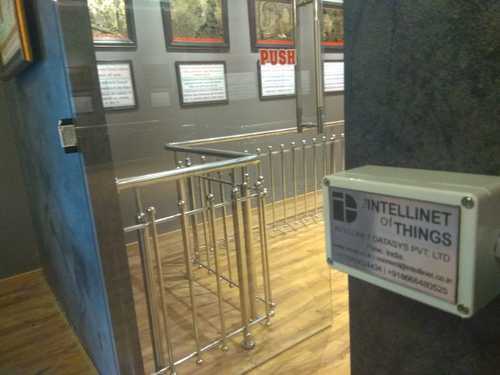 Established in the year 2013, we “Intellinet Datasys Private Limited” is engaged as the foremost manufacturer and wholesaler of Real Time Data Collection Systems, Condition Monitoring System, Temp-Humidity Monitors, enabled Video Analytics and many more.. We are formed to meet the Real Time Data needs of business who have constraints to monitor multiple parameters remotely. Our Solutions are built on reliable and efficient networks, keeping you in mind and complementing your existing staff. We see ourselves as the partners focusing on the growth of our clients, assuring faster Return on Investments and increased efficiency. We believe in substantiating our role by way of tangible results in increased savings. We are also a service provider of Condition Monitoring Service, GPS Vehicle Tracking Service, and Embedded Design Services.